Once you are in your 50’s, 40’s or even 30’s you are susceptible to certain conditions. Getting a cervical herniated disc is one of the most common conditions that require treatment from spine specialists. Arm pain is the most common symptom of this kind of disc herniation. Even though the cervical herniated disc can be caused by an injury or some sort of trauma the symptoms can appear unexpectedly at any time. The herniated disc occurs when material inside the disc leaks out and applies pressure on a cervical nerve. Apart from the pain which can travel along the nerves and extend throughout the entire arm, other common symptoms include numbness and tingling in the fingers as well as muscle weakness. What is Cervical Disc Surgery? Surgery is not always necessary. For people that experience a tolerable level of pain the best treatment is with anti-inflammatory drugs and inhibitors to stop the pain. Other medication like steroids can also be provided. However, if the pain does not go away after 6 weeks then surgery is the preferred method. 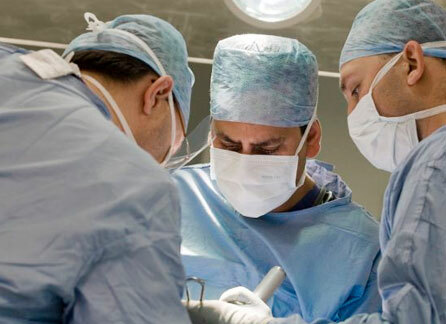 Usually, this type of spine surgery is considered to be very safe and a skilled surgeon has a success rate of 95% to 98% when it comes to this procedure. The most common approach is to perform an anterior discectomy along with a spine fusion. The surgeon will remove the problem disc and replace it with a plate that is fused in place. The same procedure can be performed without fusion. However, this will increase the period needed for recovery. The surgeon can also use a posterior approach rather than an anterior one to remove the disc. However, this procedure is riskier since this area has more veins and other organs that need to be carefully avoided. When it is decided that the best course of action is surgery, then the preferred method for any surgeon is an anterior cervical decompression. By using this method the surgeon will remove the disc that is causing the arm pain. First, an incision is made on the side of the neck. Then the different layers of muscle and tissue are penetrated until the surgeon reaches the disc. In order to confirm that he has the right disc the doctor will insert a needle into it and take an X-ray. After that he will begin the procedure of removing the disc. First he cuts the outer rings around the disc and then he removes the soft inner core of the disc. After this a plate is inserted in that space to help with the fusion. This type of surgery is usually covered by your NHS. However, if you choose to go with a private clinic then the procedure should cost between £8,500 and £12,000. If you do decide to have the surgery, then choose a good clinic like Spire Healthcare or Nuffield Health. Whatever method you choose to treat your arm pain, remember that a cervical herniated disc can be a serious condition which depending on your pain threshold may require surgery to correct.